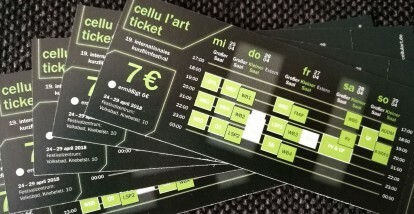 Just five days to go - then CELLU L'ART is gonna start! here on our website: just click on the little "tickets" links behind each event. And here we got it all summarized for you: www.cellulart.de/en/festival/tickets. So, let's see at the short films! Unsere Fachjury 2018: Bryan M. Ferguson And the winners are...!